Don't know about art but you know what you like? 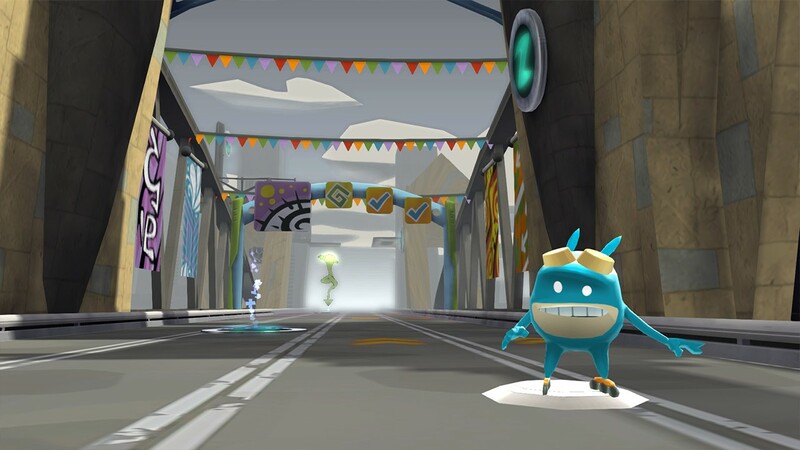 Whether you are a master of the brush or a finger painting fool, just say no way to gray and join with de Blob and his pals as they launch a color revolution. 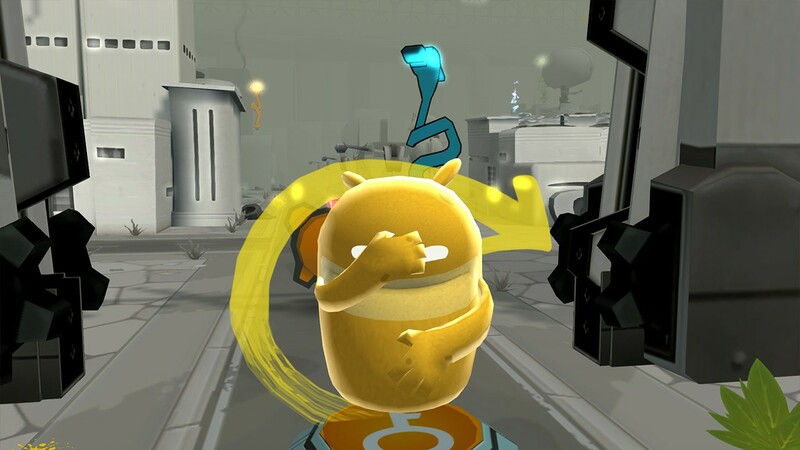 A mischievous and unlikely hero, only de Blob can flip, bounce and smash his way past the all-powerful I.N.K.T. Corporation to ignite a revolution and save Chroma City from a future without color. 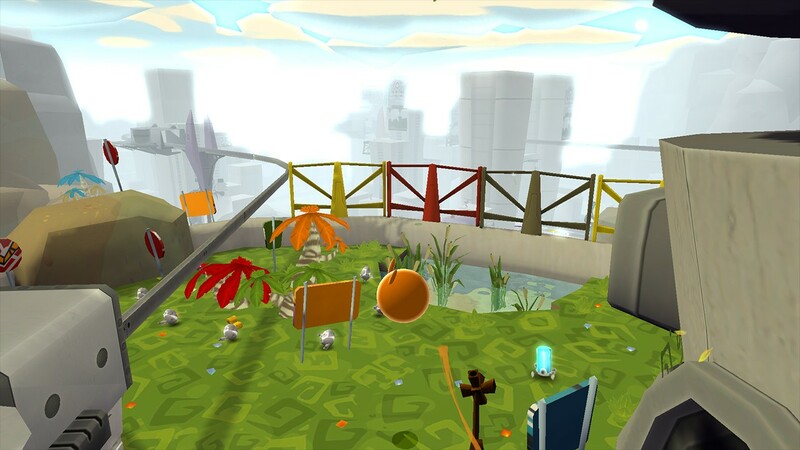 Players must acquire paint and hurl de Blob at the buildings, walls, statues, roads and skies above Chroma City. 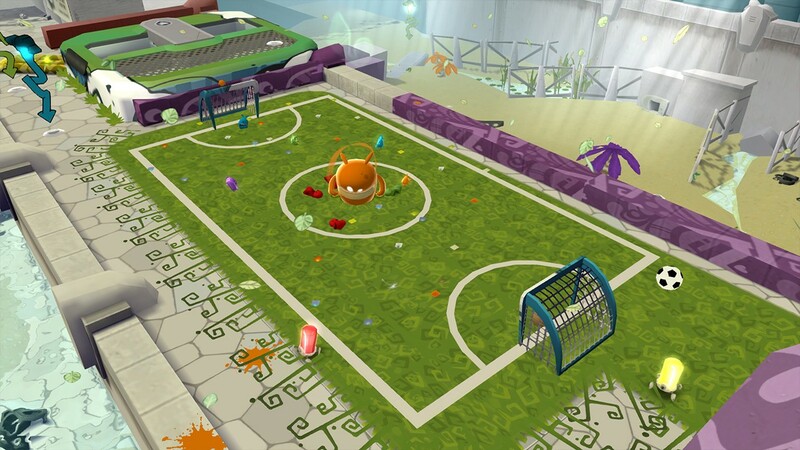 As de Blob bounces around, adding color wherever he lands, his supply of paint is depleted and he begins to dry out. As this happens players must collect more paint and rehydrate in pools and in front of hydrants scattered across the city. As the game starts access is limited to the colors red, blue and yellow, but these can be blended to create a number of other colors. 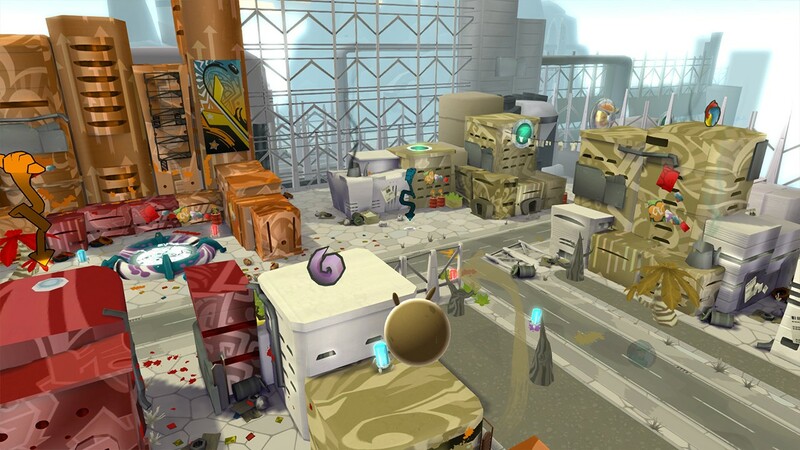 Being able to create and apply these colors becomes important as Chroma City and its inhabitants come to life, and de Blob makes contact with a range of other characters known as the 'Color Revolutionaries' and receives an increasing amount of missions that charge him with splattering color all over town. Success at these mission gains the player point which drives the game forward, eventually leading to a direct assault on Comrade Black's I.N.K.T. fortress guarded by elite Inky soldiers and massive ink turrets. 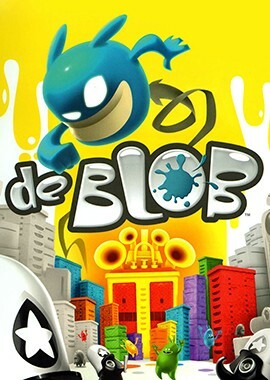 de Blob features both a deep story-driven singleplayer mode where players get to dig into the Raydian's struggle against all-powerful I.N.K.T. 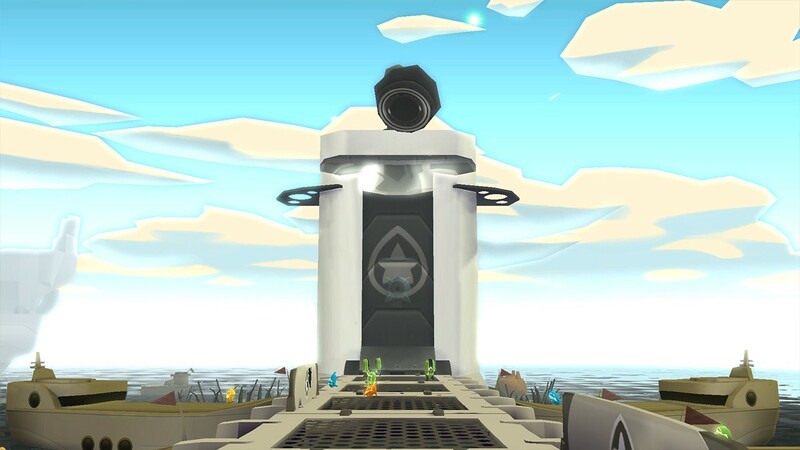 Corporation, as well as a diverse range of multiplayer options. These multiplayer campaigns support up to four players, come with street and sewer maps and include four player split-screen functionality. Just a few of the multiplayer campaigns include: - Paint Match - Paint as many buildings as possible and steal points from opponents by re-painting the buildings that they've already covered. 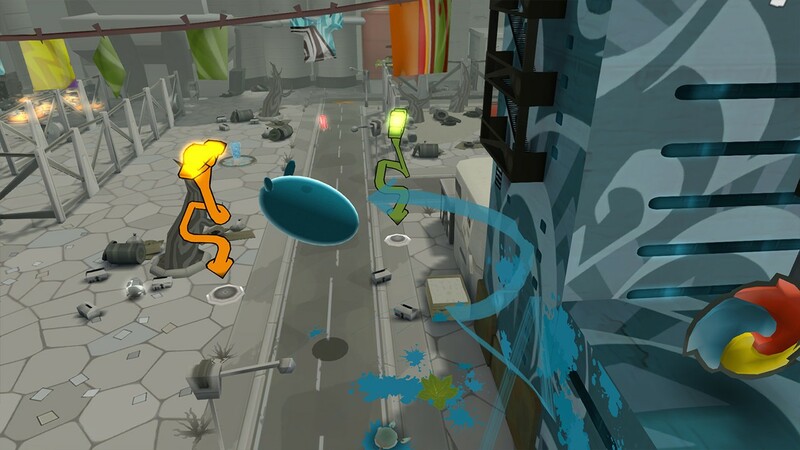 - Blob on the Run - A variation of 'Capture the Flag,' in this mode only one blob can paint and is pursued by opponents who attempt to slam him into submission and gain the ability to paint and accumulate points themselves. 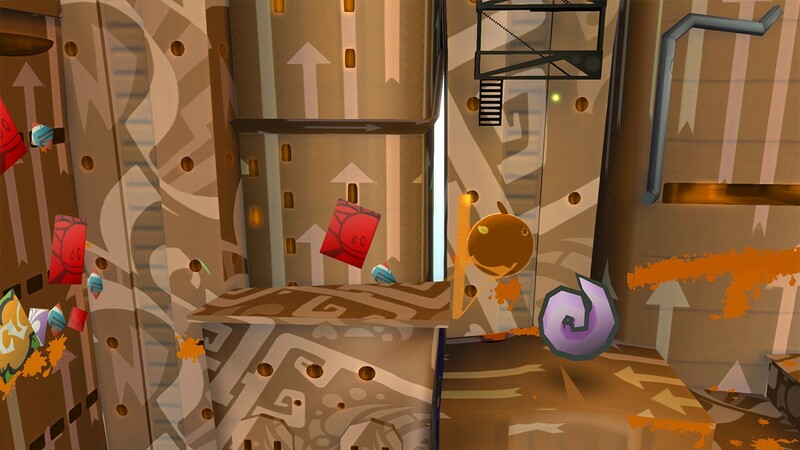 - Blob Race - In this mode buildings can only be painted once and are indicated by in-game arrow. With time limited it's a race not only to paint the town but also to keep opponents from doing the same.